Change is constant. We are all affected by the changing weather, natural disasters, and the march of time. Changes caused by human activity—inventions, migrations, wars, government policies, new markets, and new values—affect organizations as well as individuals. Threats and opportunities call for change. But how organizations change depends on leadership, the knowledge and philosophy of leaders, and their ability to engage followers. They can direct change just to improve the bottom line, or they can also change organizations to improve the wellbeing of customers, collaborators, and communities. Leadership is a word and concept that has been argued as much as any organizational term. One reason why is that there are different kinds of leaders in terms of personality, role, and behavior. A definition may fit one type but not others. Another reason has to do with the definition of good leadership. The word ‘good’ can mean either effectively good or morally good. Leaders can be effective but morally bad when, (like Adolf Hitler and Josef Stalin) their purpose is control, conquest, and destruction. Effective and morally good leaders, like Abraham Lincoln and Nelson Mandela, inspire collaboration for the common good, for a higher moral purpose. They stimulate and support independence, dialogue, and responsibility rather than conformity, tribalism, and exploitation. Of all the definitions proposed, the one definition of a leader that seems to me unarguable is: a leader is someone with followers. If you have followers, you are a leader, and if you do not have followers, you are not a leader, even if you have a formal position of authority. Leadership, then, is a relationship between leaders and followers. But this relationship has varied in different cultures and organizations. In some contexts, the leadership model has been autocratic. In other contexts, it has been collaborative. Leaders of change in the age of knowledge work have to be different from autocratic or bureaucratic leaders. They need followers who want to collaborate and innovate. To gain collaboration, leaders may have to change how people think as well as what they do. They may need to encourage the doubters, infuse the belief that people can change an organization’s future and provide the tools to make it happen. No leader of a complex organization can do this alone. Leadership of change in the age of knowledge work and learning organizations requires different types of leaders working together. Image credit: White King _1311655 by pianowow. CC BY-NC-SA 2.0 via Flickr. In contrast to leadership, management has to do with administering processes and control systems, like planning, budgeting, evaluating, and measuring. It has to do with completing tasks rather than engaging followers. Managers can share their responsibilities or hand them off to others. Most tasks and responsibilities of management can be delegated to teams, like those in the Morningstar Company in California, where employees are self-managed. The Economist reports that some companies have begun delegating management functions to machines. In the past, managers usually knew their subordinates’ jobs better then they did. In knowledge organizations, where many subordinates are experts who know more about their job than their bosses do, managers need leadership skills to develop collaborative teams. In some large companies, team members are located in different places. Management needs to be shared, and leadership requires exceptional communication skills. In contrast to management, leadership is a relationship that can’t be given away. If people follow you because they want to follow you, you cannot hand over that relationship to someone else. To achieve positive change, organizations need both management and leadership, but they don’t necessarily need managers. the values and attitudes of followers. Like other primates, we have a tendency to form hierarchies because of our drive for mastery, which can become a drive for power over others. But to satisfy our need for dignity, we prefer egalitarian organizations. 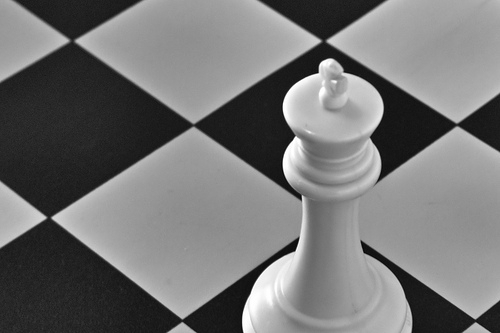 We recognize that leadership may be needed and we sometimes idealize leaders for a while, especially when they appear to be helping us respond to a challenge. But idealization can turn to contempt when people decide a leader is no longer useful, or has even become a danger to them. In tribes of hunter-gatherers, leaders were needed for hunting and war parties, but once the action was over, they were not allowed to hold on to authority. If they tried to retain command, they were ridiculed, shamed, and even ostracized. In more mordern times, peasant villagers see no need for leaders. The family is an independent unit that resists outside interference. There is little need for change. Some worker-owned cooperative organizations don’t need leaders. Like peasant villages, decisions can be made by committees of owner-workers. In the open-source software community of hackers who develop Linux and Apache systems, unpaid project leaders emerge to decide on features, when to release software, and when to pass on the baton. It’s a more modern version of a hunter-gatherer community. They will only follow leaders when threatened. Leadership qualities that serve in one context may not in another. In the 1980s, managers and administrators, not leaders, ran the large companies and the government agencies with which I worked. These bureaucracies were governed by rules and regulations, designed to keep things moving on a predictable path. Leaders were rare and viewed with suspicion, because they questioned policies and recruited followers who became disruptive insurgents. In the current context, leaders are needed not only to foresee threats and opportunities, but also to envision an ideal future and engage collaborators to realize it. To succeed, they must be able to gain partners, both within and outside of their organizations. However, the impact of these organizations on employees, customers, communities and the environment will depend on the philosophies articulated and practiced by leaders, the purpose and values that shape the organizational culture, and direct decisions about products and practices. Michael Maccoby is a globally recognized expert on leadership who has advised, taught, and studied leaders of companies, unions, governments, healthcare organizations, and universities in 36 countries. He directed a research program at Harvard on Technology, Work, and Character from 1970-1990. He has taught at a number of universities including Oxford's Saïd Business School. For his work in Sweden, he was made Commander of the Royal Order of the Polar Star in 2008. He has a BA and a PhD from Harvard in psychology and anthropology, he studied philosophy as a Woodrow Wilson Fellow at New College Oxford, and is a graduate of the Mexican Institute of Psychoanalysis. 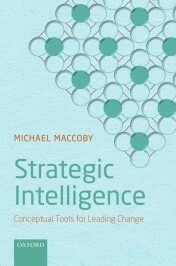 He is also the author of Strategic Intelligence: Conceptual Tools for Leading Change (OUP 2015).